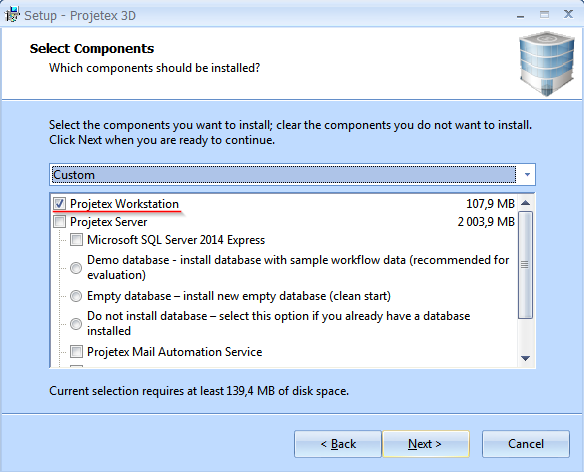 How can I install the Projetex Workstation without installing the Projetex Server? 1. Download a Projetex setup file from your personal account at clients.translation3000.com. 2. Run the file and follow the instruсtions from the Installation Wizard. 3. Deselect all checkboxes except for Projetex Workstation. 4. After installation your current PC will have only the Projetex Workstation installed.